Private estate or working B&B, either way this property is immaculate. 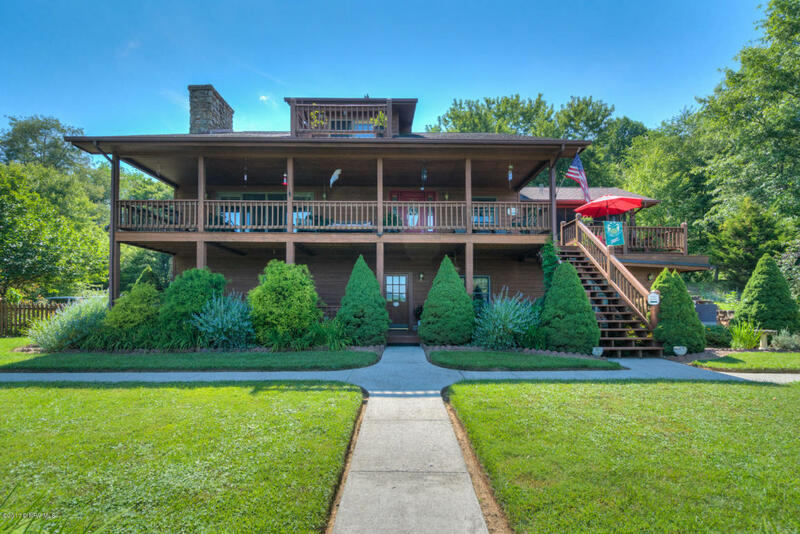 Better known as the &apos;&apos;Mountain Song Inn&apos;&apos; this property has almost 14 acres of well manicured grounds, 5 bedrooms including a master suite w/ rock fireplace, expansive living areas, outdoor dining area, and covered decks with long range mountain views. Check out the tripadvisor reviews and see how well this place is respected. The tranquility is unsurpassed, see the pictures and you won&apos;t be disappointed. Arrange your showing today to see why this mountain estate should be yours to enjoy with family and friends (or your guests). Directions: From Town Of Floyd Go North On Route 8 Towards Christiansburg. Left On Ridgeview And Travel Approximately 10 Miles (Road Will Turn To Duncans Chapel Road) To Right On Mystic Lane. Follow Signs For Mountain Song Inn.